Gift certificates are generated using the gift certificate page where the name of the sender and recipient is requested together with a short message and the value of the certificate. Once the form is completed the certificate is added to the shopping basket and is paid for as any other product from the store. 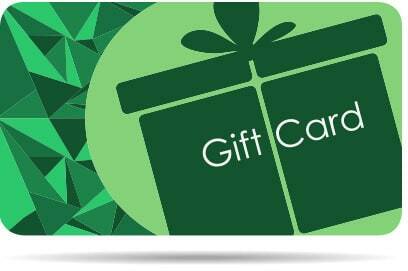 A gift certificate consists of a unique code that can be redeemed during the checkout process on the store. Gift certificates are not eligible for discounts. All our plants are true to name and leave the nursery in prime condition; provided the plants are treated as described in our plant list then they will continue to thrive. We cannot accept responsibility for any problems with the performance of plants after you have accepted delivery as their subsequent treatment is beyond our control. In the event of any problems please contact us for advice. Please notify us as soon as possible in the event of non-receipt, damage or general dissatisfaction with your order. If you are requesting replacements or a refund it would be helpful if you could email pictures of the plants. Our liability is limited to the replacement of items or a refund of the price paid. If the plants arrive damaged due to mistreatment by our courier company it would be really appreciated if you could send us pictures of the plants and packaging so we can take it up with the courier company. Placed orders may be cancelled prior to dispatch. A full refund will be issued. In the event of any plant you require becoming out of stock due to exceptional demand we will contact you to discuss suitable replacements or a refund for the unavailable plant(s). In the event that we are unable to contact you, whether due to incorrect details you have entered on the order or you do not return our calls or emails within a reasonable period of time we will complete the order sending a suitable substitute of at least equal value. Please see the IMPORTANT DELIVERY INFORMATION page for our delivery terms. We have the facilities for payment by credit/debit card on our online shop. We can also accept payments direct to our bank (details are on the "About us" page) or take card payments over the phone or are happy to receive cheques in the post made payable to Puddleplants Limited. All orders must be paid for in full, and in the case of cheques cleared, prior to dispatch. For card payments, we use the SagePay payments system, which is a fully secure, compliant, tier 1 payment provider for maximum security of your confidential data. No card details are entered into or kept on our system. If you have any cause to complain, please do so to us! This will give us the chance to correct any problems. We love to hear from you if you are happy with the plants and service you receive! We do not have any set days or hours for our business as it's a 7 day a week all the hour's operation as there are only two of us so we don't switch off after 5 pm or at weekends! If you call during the day we may be busy in the packing shed or potting plants, so please leave a message and we'll get back to you as soon as we can. We don't mind receiving calls or emails in the evenings or at weekends, and again if there is no reply we'll get back to you as soon as possible if you leave a message -please advise a good time to call back. Unfortunately, we are unable to receive visitors to the nursery as we are subject to restrictive covenants over the land we work on.